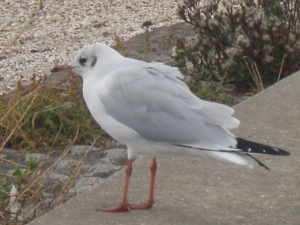 Observation - Black-headed gull found near Humber Bridge - UK and Ireland. Description: Has a reddish beak with a black tip. Dark spot behind eye. Has a reddish beak with a black tip. Dark spot behind eye.